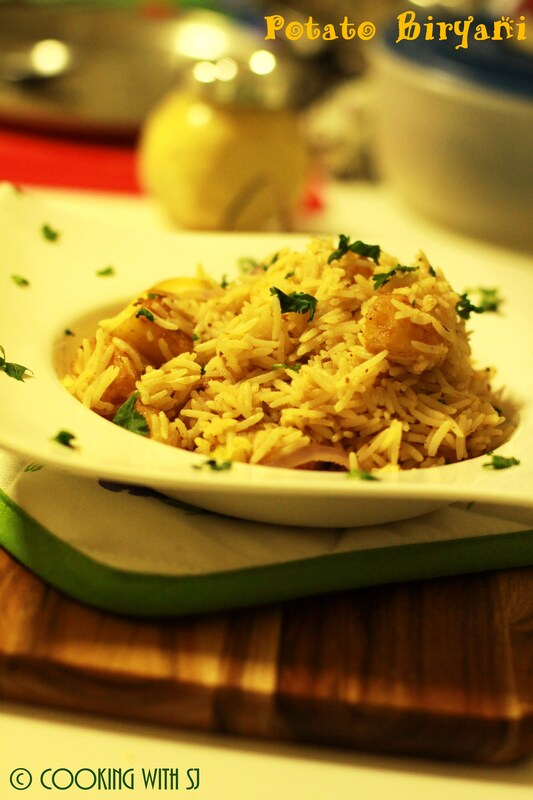 – Soak basmati rice for an hour in plenty of water. Parboil them in fresh water with 1/2 tsp of salt till 90% done. – Wash and peel the potatoes. Cut them into big cubes (skip this if you are using baby potatoes). Deep fry these potatoes till golden brown n keep them aside. – Heat ghee in a big nonstick kadai and add cumin seeds. – Once it crackles, add onions into it. Saute it till they are soft and translucent. 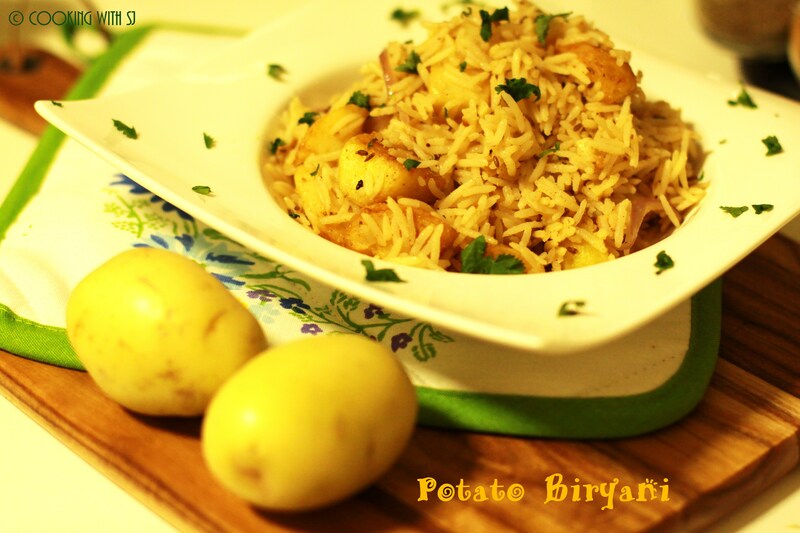 – Add fried potatoes and cooked basmati rice along with all the spices. Mix everything well. – Cook it covered for around 10 mins. Open the lid and add lemon juice. Give a quick toss to rice. – Transfer it to a serving bowl and garnish with chopped coriander leaves. – And it’s ready to serve!!! – Serving with chilled yogurt is always the best option! I love potatoes too but my huby don’t so this is perfect for me when he is not having diner.